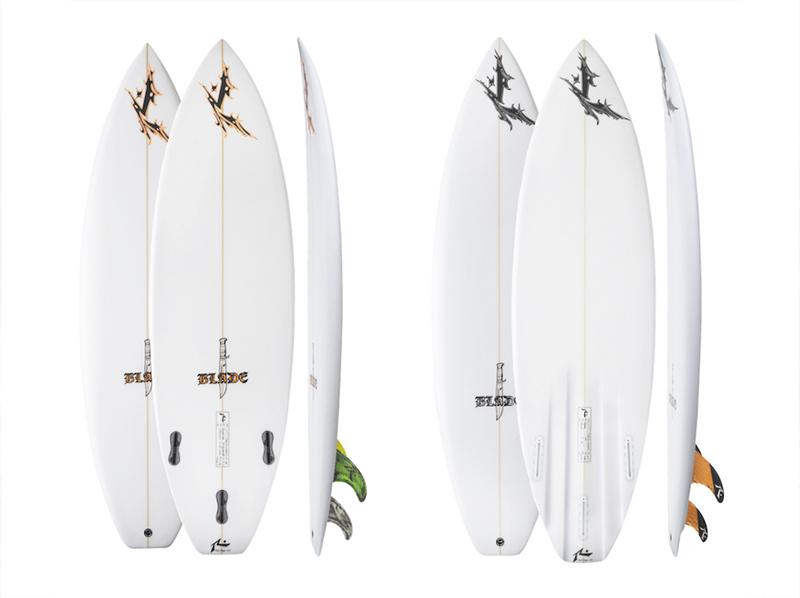 We are excited to introduce Rusty Surfboards’ newest model, The Balde, now available for custom orders with direct shipping across Europe. The Blade is a direct descendant of the famous 1984. In 2014 Rusty Preisendorfer hooked up with Mark “Occy” Occhilupo and did a 100 board reissue of his famous signature “84” model. A year ago Rusty started getting asked to lean out the nose and lose the beak. In addition, he modernized the bottom slightly. The surfers who tried them freaked. Since then Rusty has made them with 4 deep channels. He also decided to give a very modern bottom with a deep single to double concave a shot. Bottom line is that virtually anyone who has tried any of the different bottoms has been psyched and have also ordered them longer as well. The Blade works in a wide range of conditions. For now we are offering the Blade in a mellow, subtle single to double concave, that bottom with 4 deep channels, and a modern deep single concave.